Welcome to the Recreation Safety Recommendations on www.mercedcountyevents.com! The purpose of this page is to provide a comprehensive database of recreation within Merced County and an hour’s drive of cities within the county. Your author, Adam Blauert, is an outdoorsman and outdoors columnist for the Merced Sun-Star. 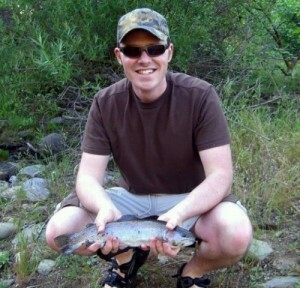 You can read his weekly column about outdoor recreation at www.mercedsunstar.com. Please direct comments, feedback, and suggestions to AdamBlauert@yahoo.com. It is our goal to provide useful and relevant information about all types of recreation in our area. A note on safety: All outdoor activities involve some degree of risk or injury. Making sure you are in the proper physical condition before trying a new activity. Check with your doctor if you are uncertain about your condition and abilities. Taking lessons or training before attempting an activity that requires specialized skills. Enjoying outdoor recreation with family or friends. Never hike, swim, or boat alone. Make sure that someone outside your group knows where you are going and when you expect to return before you leave home. Wearing proper safety gear and equipment. When boating or swimming outside of a swimming pool, make sure that life jackets and flotation devices are available for each person in your group. Checking current conditions such as weather and water conditions. If you have any questions contact the agency that operates the recreation area that you plan to visit. Drinking plenty of water to avoid dehydration. Not using alcohol or illegal drugs. Wearing sunscreen, sunglasses, and hats to avoid sunburn. Bringing extra layers of clothing and rain gear in case of a change in weather. Having a first aid kit available and being knowledgeable about common first aid procedures and CPR. Having a cellular phone available to call for help if an accident occurs. Cellular reception is available within much of Merced County. It is your responsibility to know and monitor conditions. All information provided on this website describes optimal conditions. Conditions can change rapidly.